Ubisoft has started their countdown to E3 2016, having today confirmed when their press conference will take place. That will take place on Monday 13th June at 1pm PT, with a pre-show shortly beforehand at 12.30pm PT. While details are seemingly being kept to a minimum at this point, an accompanying image shared a few pointers as to what to expect. Ubisoft look set to return to the Orpheum Theatre in Los Angeles, which has long become their regular venue, and comedian Aisha Tyler will return as host once again. 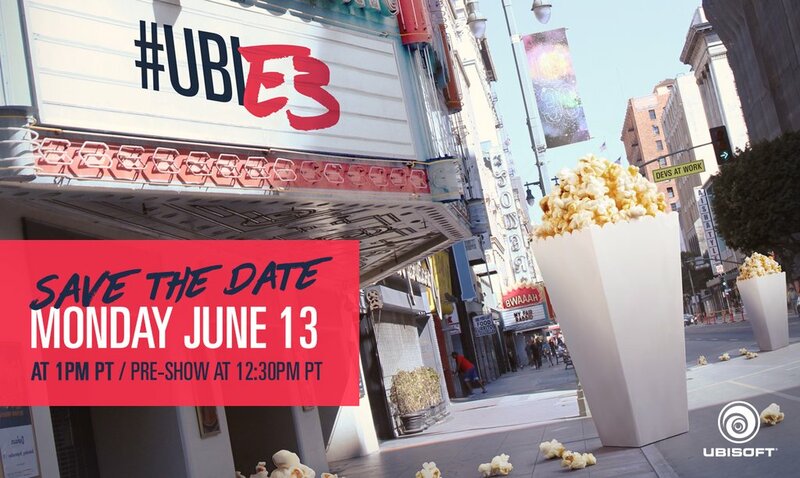 The only other thing that I’ve spotted in the image is the Rabbids being billed for ‘My Fair Rabbid’, so it’s likely that we will see them make an appearance. It is the long-awaited news about Nintendo NX that raises more questions, especially with third-parties traditionally having their press conferences positioned in advance of Nintendo’s usual slot.